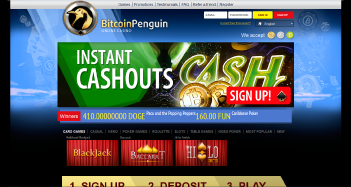 This is our review of the Bitcoin Penguin Casino, which we found to be a simple and easy-to-use bitcoin casino. The name is a bit odd. But the casino is straightforward. They offer a mixture of casino games (some from a leading 3D software company), and they’re one of the few Bitcoin casinos to allow players to play in bitcoin, dogecoin and litecoin. And they accept players from all over the world. Sound good? Then take a couple of minutes to read our review. Maybe you’ll like what you find. Let’s start with their banking. All their deposits are instant – as bitcoin deposits should be. About 75% of their cash outs are, too. Best part yet – they hold players’ funds in an offline cold storage. The upside to this is your money will be safe from hackers. The downside? You might have to make multiple cash outs to get all of your money off the site. But that’s a minor problem in the grand scheme of things. 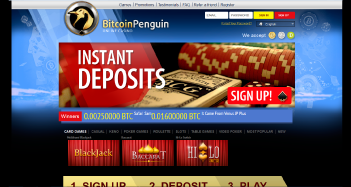 Bitcoin Penguin gets their games from SoftSwiss, which is a company that helps both fiat and bitcoin operators with games and software. And, boy, is there a selection of games to choose from! The cool thing? These games are provably fair. 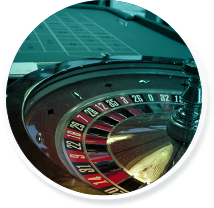 Most casinos are either/or – not both (provably fair and RNG). Then you have the games from BetSoft, the 3D software company. Read any review of mine and you’ll see that I’m a big fan. I just can’t help it. I’m normally not a slots fan, but these guys have created a set of games so fun to watch, let alone play – do yourself a favor and check them out. The best way to see all their 3D themes is to visit their website. They have PDF’s you can open and read to learn more about each game, its characters, special features and bonus rounds. You can also watch intro clips for each game – sometimes even play them for free. The one I checked out while doing this review is Dr. Jekyll and Mr. Hyde. You’re almost left wondering if the clip they show you is apart of a Pixar movie or something. It’s that good. Their games are mobile, too. You can play from your Android, iOS or Windows mobile device. 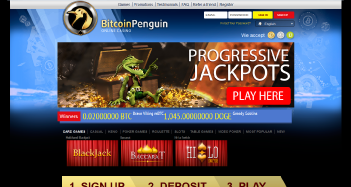 Bitcoin Penguin seems like a simple and straightforward site. A decent casino with a large library of provably fair and 3D games. Nothing to complain about there. But being as they just launched a couple of months ago – and the fact that they have no real promotions to speak of – I’m not so sure I can give them a good grade. So, for now, I think I’m going to give them a C+. After some time online, and maybe if they add a promo or two, we can revisit this review and give them a better grade. We’ll see.